Welcome to the official website of Alex Woltman. Though our name and colors have changed, we remain the same great company with the industry’s finest agents. 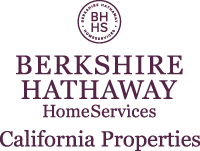 Search for hundreds of properties in CA. This Wonderful Home in the Valencia Northpark Nouvelle Neighborhood Features 4 Bedrooms/3 Bathrooms, with one Downstairs Bedroom on a Lovely Cul-de-Sac street. This Home has a Bright Open feel with Relaxing Neutral Custom Colors and a Dual Fireplace that is Open to Both the Family Room and Living Room. There is a Private Downstairs Room that is Perfect for a Office/Study--OR it could be Utilized as a 2nd Downstairs Bed. There are Ceiling Fans in Master Bed, Family Room and Office. There is a newer HVAC System-with WIFI Thermostat with Separate Upstairs/Downstairs Zones. The Garage has 220-Volts for an Electric car Hookup and there is a Tankless Water Heater. Upstairs there is Pergo Wood Flooring and Tile with Wood Flooring in the Living Room and Tile in the Family Room and Kitchen. The Backyard has a Covered Patio and is a Great Area to Entertain with BBQ. NO Houses in Back, so the Backyard offers semi-privacy. The Northpark HOA Community includes: 3 Pools, Tennis Court, Basketball court, BBQ's and a Clubhouse. LOW HOA fees. No Mello Roos! Walking distance to award winning elementary schools, close to parks, shopping and easy freeway access.